The speed of business is real-time! Work is no longer a place you go; it’s what you do wherever you are. C3tek’s Cloud Fax is a virtual fax service that gives you the ability to send/receive faxes from any email-enabled communication device while you are on the go. The result is a cost-effective solution that delivers communications efficiency and improved response time to document requests. Incoming faxes maybe sent to several email accounts or to a single account for privacy. Every fax received generates an email alert to notify you a when new fax has arrived. No ink, paper or fax machine is required. 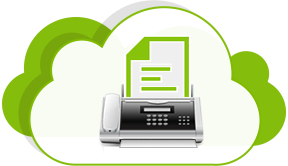 C3tek's Cloud Fax is an eco-friendly solution that allows you to print important faxes and archive the rest electronically.